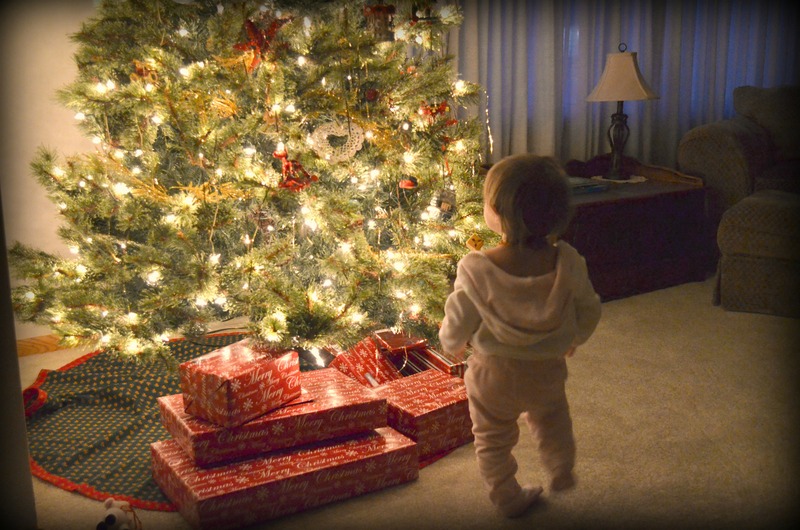 It’s so hard to not touch the tree and the presents when you’re 1 year old. But Evie is doing her best. This entry was posted in Advent Adventures, Family File and tagged Evie, holidays, home, Home for the Holidays. Bookmark the permalink.